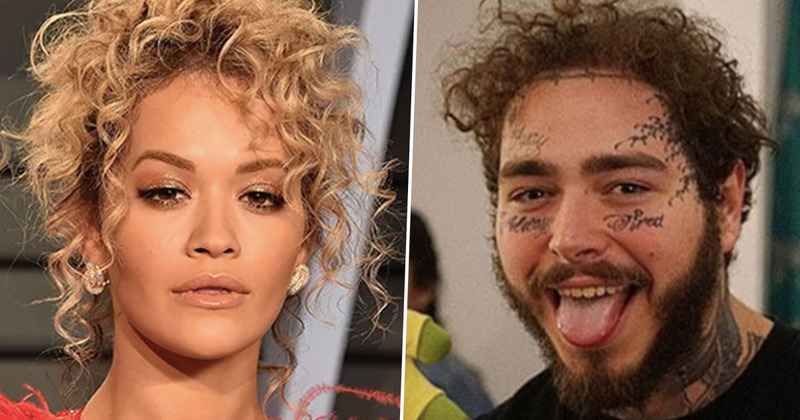 Rita Ora’s Post Malone costume was so good even major news outlets are getting confused between the two artists. There were some impressive celebrity Halloween costumes in 2018, but while most of them provided entertainment just for the following couple of days, Rita’s is still a big topic of conversation. The Let You Love Me singer really committed to her costume, adopting Posty’s face tattoos, hair, beard and even golden grill to transform herself into the spitting image of the rapper. On October 26, Rita turned up to the KISS Haunted House Party at Wembley Stadium in London with her incredible new look, and she bore such close resemblance to Malone that even some fans were confused by who had just walked on stage. postttyyyyyy I LOVE YOU BRO @postmalone…ratatatatataata wassssss gooood!! Her costume was met with a lot of praise from fans, but it caused havoc for The Hollywood Reporter this week when someone there accidentally got confused about who the real Malone was. On Thursday (January 17) the Recording Academy announced some of the big names who would be performing at this year’s Grammy Awards. Celebrities who made the list include Cardi B, Camila Cabello, Janelle Monáe, Shawn Mendes, and Dan + Shay. Rita was not one of the artists announced, but Posty was. This is where The Hollywood Reporter got mixed up. The news outlet shared the announcement on Twitter, including some pictures of the performing artists along with the news. Yep, you guessed it. That is, in fact, Rita instead of Malone. While it’s an unfortunate incident for the news outlet, I think it just serves as extra validation for the I Will Never Let You Down singer. She pulled off her costume so brilliantly that people can’t even tell her and her inspiration apart. However, it seems the outlet forgot to alter the picture on their general ‘Grammy’s performers’ template, because just a few hours ago they shared the picture of Rita dressed as Posty all over again. I think someone needs to pay closer attention to their posts! Or rather, their Posts. Twitter users were quick to pick up on the mistake and share it across the internet, with some speculating about how the Rita had ended up as the face of Malone, and others suggesting ideas for how the rapper could use the ambiguity to his advantage. 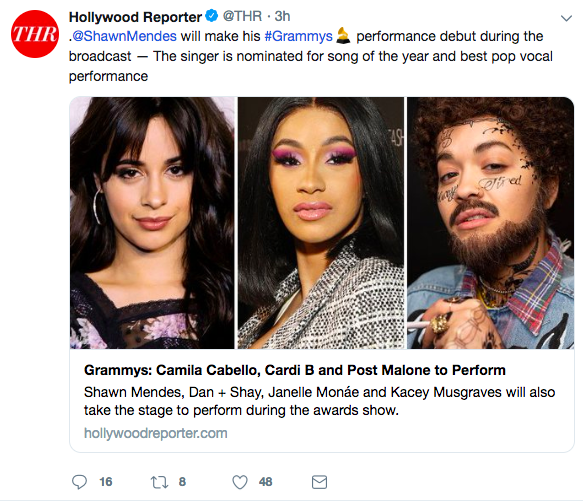 Well, in case anyone’s still confused, it will be Post Malone performing at the Grammy’s – not Rita Ora. Unless the pair do manage to strike some kind of deal where Rita secretly fills in for him!